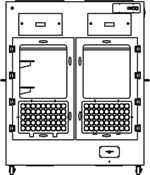 Safekeeper® series forensic evidence drying cabinets are designed to store, dry or otherwise process forensic evidence in the controlled environment of a tamper resistant compartment to maintain the chain of custody. The industry leading Multiplex™ filtration system, combined with professional design and construction offer convenience and protect the safety of personnel during use, maintenance and decontamination of the cabinets. 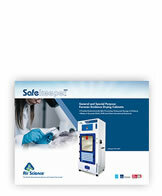 Safekeeper forensic evidence drying cabinets provide cost-effective storage and containment for forensic evidence as it is dried by a constant flow of air. Air Science® ductless technology removes airborne pathogens, particulates, fumes, and odors emitted by the contents. Elimination of putrid odors and chemical fumes using ecofriendly ductless technology carbon filtration. Effective protection to personnel from particulate hazards. 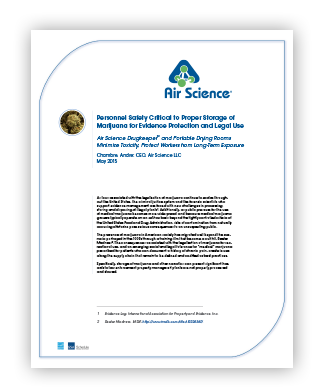 ANSI Z9.5 compliance with optional safety back-up filters on selected models. 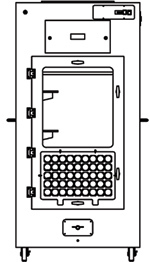 Controlled airflow to dry items of evidence in the cabinet. Lockable doors with tamper-proof seals for security. Broad range of sizes for diverse needs. 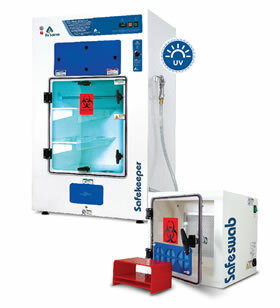 Selected models available with versatile two, three and four independent drying chambers. Easily cleaned to protect items of evidence from cross contamination. Push-pull™ shelving, hanging rods and lockable front doors facilitate application of cabinets to many situations. 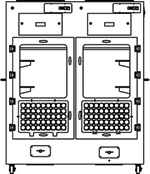 Standard height and Downflow models are designed to be moved around a building through standard doorways and elevators.